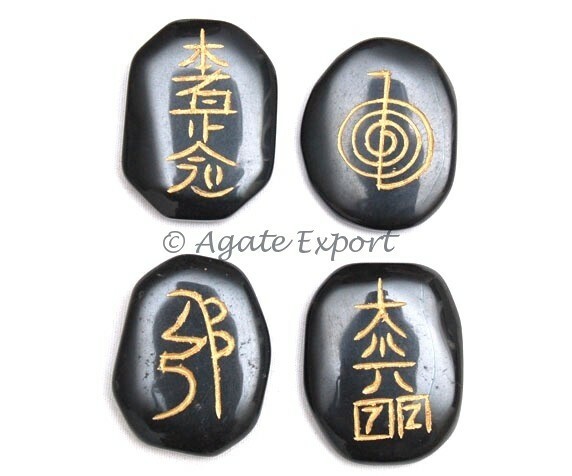 Usai Reiki Set has four stones with 4 different symbols â€“ master reiki symbol, Connection reiki symbol, Harmony reiki symbol and power reiki symbol. Each symbol is used during reiki treatment. It is available on Agate Export.